Yesterday, with the moon waning in Aries, we harvested a large quantity of whole Solomon’s Seal roots which we’ll be adding to the shop. 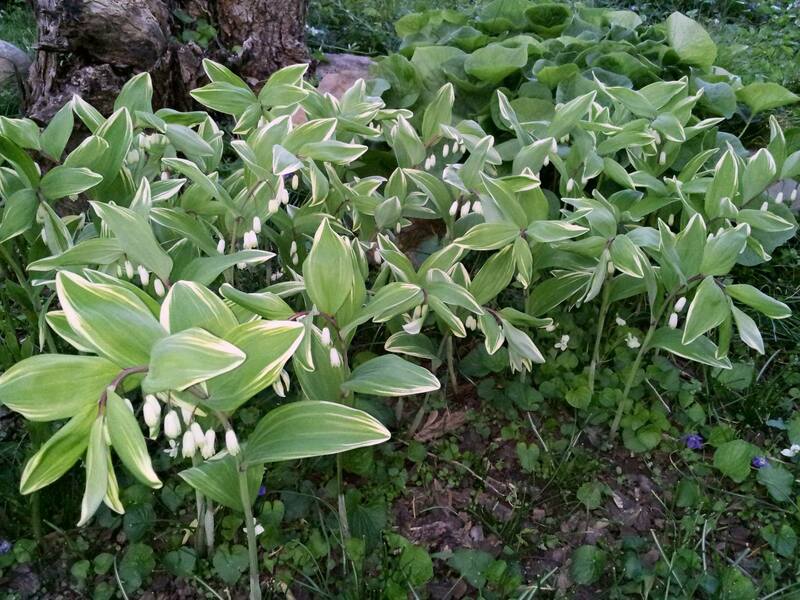 Solomon’s seal, Polygonatum biflorum, is a beautiful plant native to the shady woodlands of the Appalachian mountains. It gets its name from the round scars on the roots left by old stalks that look somewhat like a royal seal. Perhaps unsurprisingly, Cunningham lists its magical properties as being those of protection and exorcism, which is likely due to the plant’s association with the seal of Solomon used to bind and control demons. Roots are either placed at the corners of a building to “seal” the place from malign spirits or made into an infusion which is then asperged around the place. I have found it particularly effective as a protection against night hags. Additionally, because of the association with Solomon, the roots are used in modern magic to increase wisdom (to make one wise like Solomon) as well as to attract helpful spirits; Solomon was a sorcerer after all and lore associates him with the grimoires. Medicinally the roots were once used in Appalachia as a tonic or added to mustard plasters as a treatment for gout and rheumatism. British herbalists John Gerard and Nicholas Culpeper (as well as many subsequent herbals) recommend Solomon’s seal root be made into ointments to help close or “seal up” green wounds and dry old ones, and decocted in wine and administered to help wounded joints through healing torn ligaments and loose or inflamed tendons. I personally have used it in a healing spell for a torn ligament.